TUSCALOOSA, Ala. – Concluding an unprecedented initiative that rolled out eight months ago, McAleer’s Office Furniture Co. in Mobile, Ala., has been named winner of the first-ever “Small Business Game Changer” by the Business Council of Alabama (BCA) and Crimson Tide Sports Marketing, University of Alabama Athletics’ multimedia rights holder. McAleer’s Office Furniture Co. will be awarded a complimentary 2016 Alabama football sponsorship and various representatives will attend tomorrow’s 2 p.m. Spring Game in Tuscaloosa. Melissa Cross, president of McAleer’s Office Furniture Co., and Business Council of Alabama 2013 Chairman Carl T. Jamison, shareholder of JamisonMoneyFarmer, PC, will be on hand tomorrow as Cross and her business will be recognized with an on-field presentation. 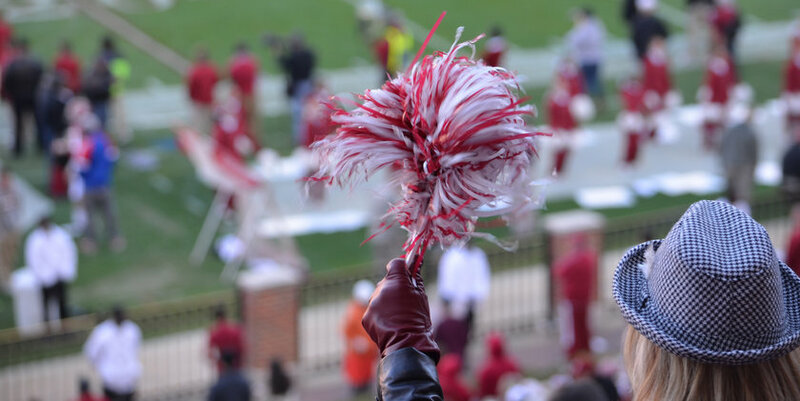 Cross’ business will receive corporate partner benefits during the upcoming football season including hospitality, game tickets, in-venue logo recognition, and exposure through the game day publications and Crimson Tide Radio Network. Last August, the BCA and Crimson Tide Sports Marketing aligned to announce this first-of-its-kind opportunity for a state-based business with 50 or fewer employees. Businesses in good standing with the BCA could enter online from Sept. 1, 2015-Jan. 31, 2016. The other entry requirement was submitting why a 2016 Alabama football sponsorship would be a game-changer for their small business. A similar contest was launched for Auburn University’s 2016 football season as well. A panel of judges reviewed the submitted applications blindly based on the creativity, originality, and values and principles expressed in the 150-word entry. The panel comprised the current chairman of the Business Council of Alabama; the Business Council of Alabama Small Business Committee chair(s); a representative of the U.S. Chamber of Commerce; a representative of the National Association of Manufacturers; and the current chairman of the Chamber of Commerce Association of Alabama.